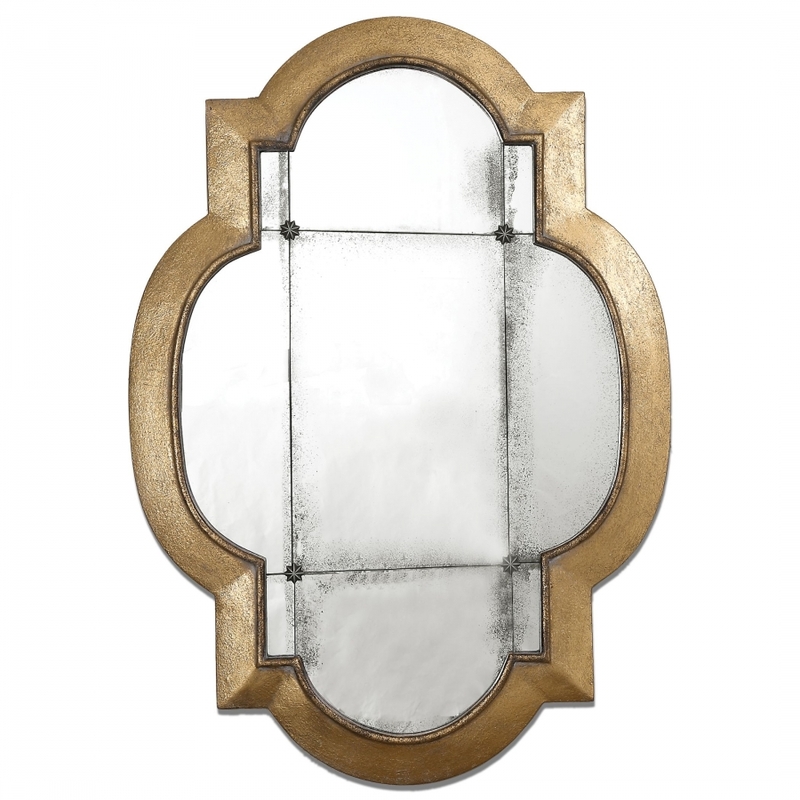 A simple but elegant outline is created with the frame around this unique shaped mirror. 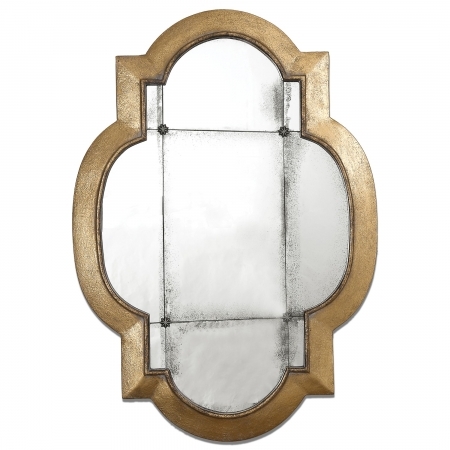 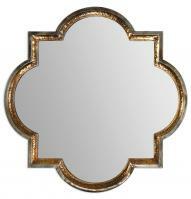 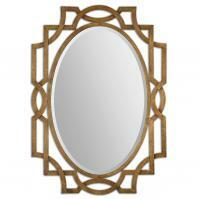 The material of the framing has an aged antique gold look that is accented by the dark shading over the mirror itself. 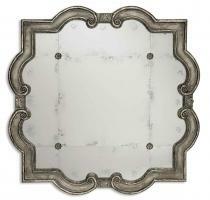 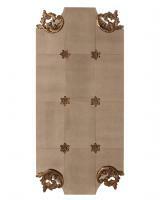 This piece looks good in a vertical or horizontal hanging position and it will be a great accent to the space.